I've made no secret about it... Halloween is probably my favorite holiday. And not because I love to dress up because I haven done that in YEARS. I do love taking my nephews trick or treating and watching them completely immersing themselves in the whole experience. Here are a few of my favorite Halloween projects that use our very own iLoveToCreate products Check 'em out! I've also made no secret that Leslie from Pink Stripey Socks is one of my fave crafters of all time. 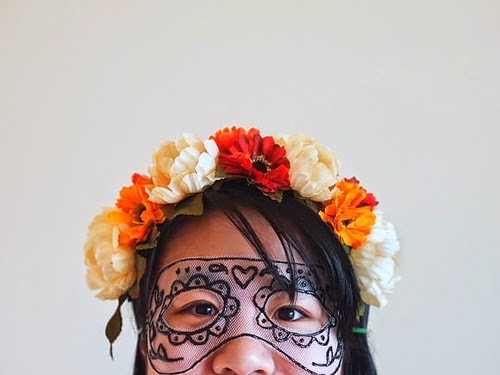 Check out her tutorial over at Handmade Charlotte and make your own amazing mask using our Scribbles paint! 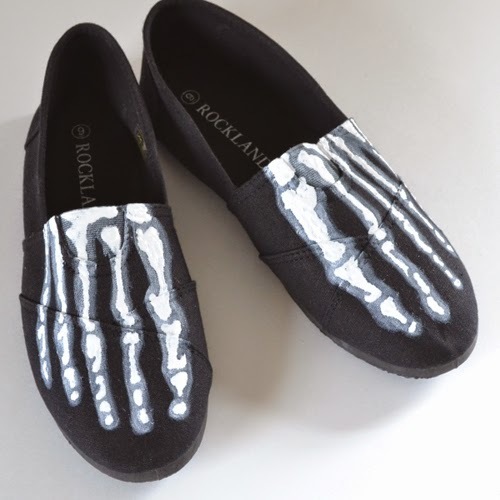 If you're like me and not into the whole getting dressed up while parading around the neighborhood with kiddos but still want to be kind of festive, how about these skeleton feet kicks I made last year with Scribbles and Tulip Fabric Paint? Did you know that you can use Tacky Glue to make zombie flesh wounds? Because you can. Check out the tutorial (and view on YouTube for written directions that act as a tutorial for this video). Not all Halloween decor has to be creepy! 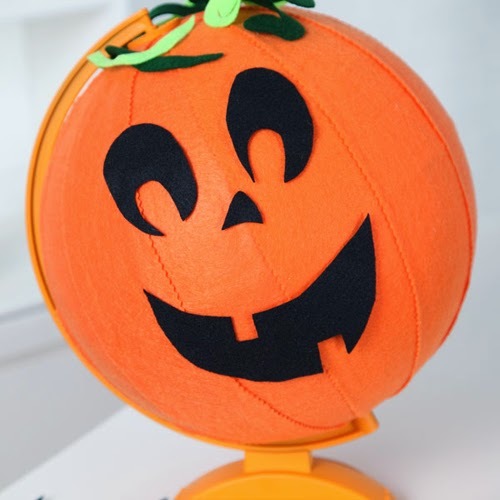 Check out this super cute (and no sew) As the Pumpkin Turns jack-o-lantern globe! If you're in the market for someHalloween shoes that a bit fancier than slip ons, how about these totally awesome and GLOW IN THE DARK boots? Plus you'll get a little lesson on the anatomy of the human foot. Super cool! Kid's costumes can be wickedly expensive! 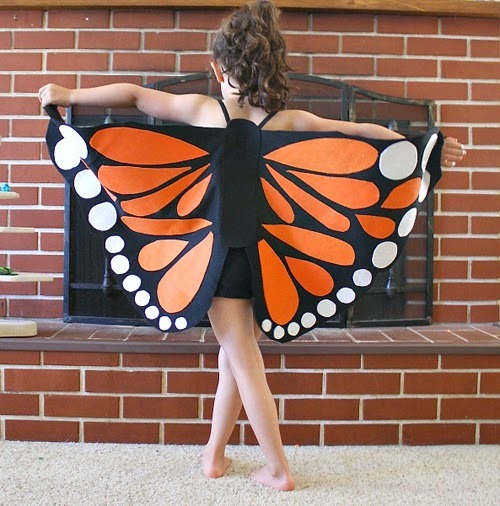 Why not grab a few yards of felt, which is majorly inexpensive, and make your gal some monarch butterfly wings over at Buggy and Buddy. Mostly no sew with our Aleene's Tacky Spray! Pinatas are perfect for any party (just ask avid pinata fan Kelly from Studio DIY). 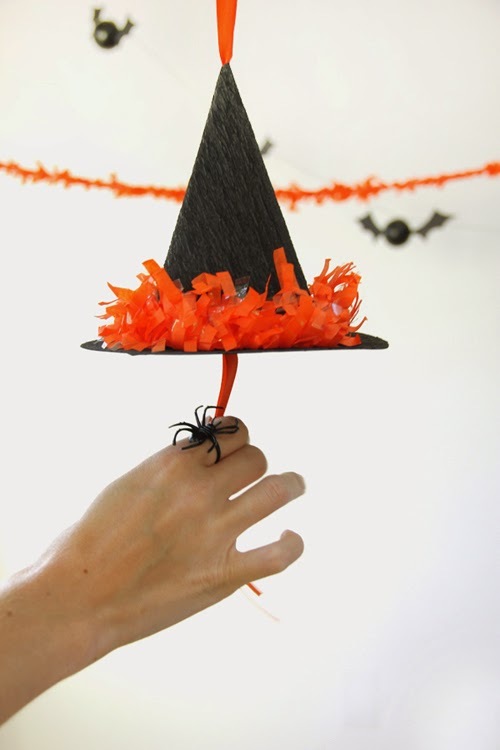 Grab your stash of Aleene's glue and make this witch hat candy filled surprise! I know that Sugar Skulls are more meant for Day of the Dead, but if you ask me a skull's good for Halloween, too! 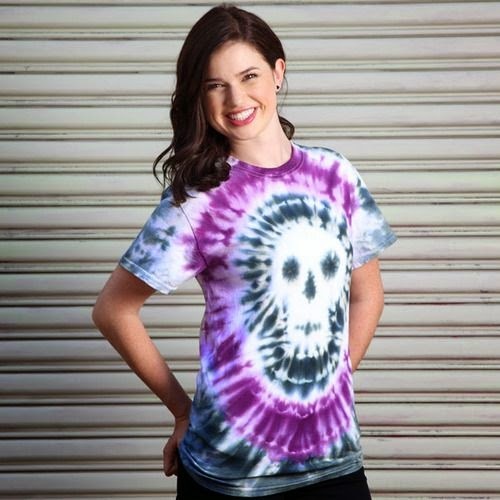 And this gorgeous tee just might make it into your regular wearable rotation! Looking for some fancy witch shoes to finish up your costume or just add a little spooky flair to your work outfit? 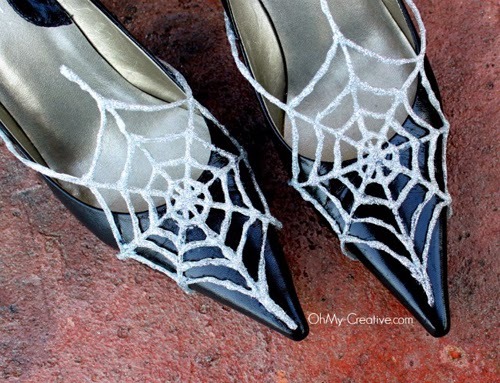 These Spiderweb pumps from Oh My Creative are just the ticket! Or maybe your big thing is handing out candy on the big night? No problem, Centsational Girl has you covered with this Tacky Glue spiderweb glue creation! Yep, you guessed it... Tacky Glue is the perfect implement for some awesome cyborg style destruction! 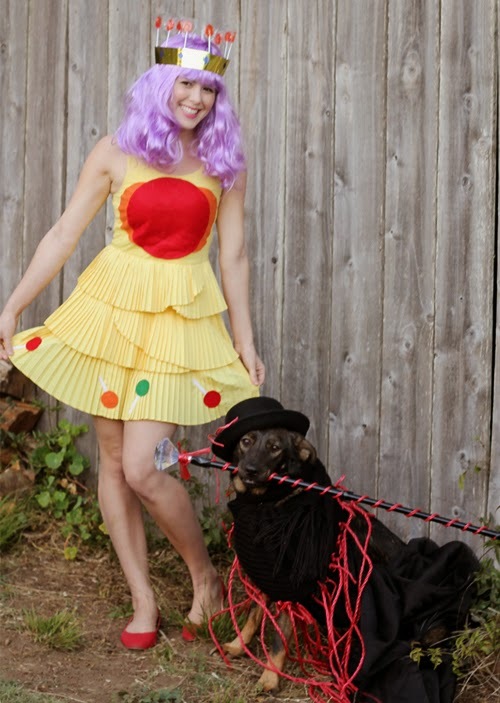 What's cooler than being Princess Lolly from Candyland with your own Lord Licorace pup to follow you around? Get the no sew tutorial with Aleene's fabric fusion over at With Lovely. 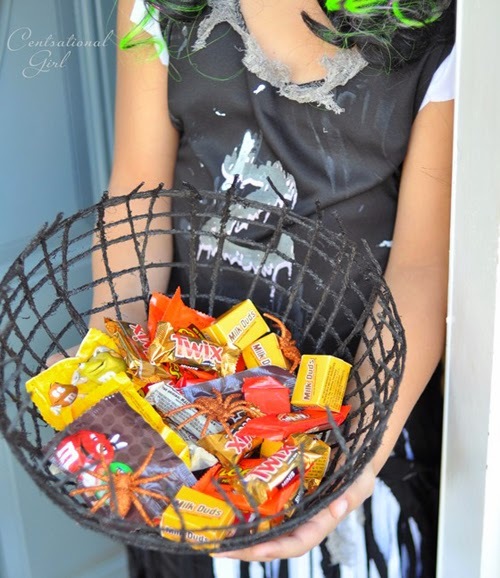 Need to spook-ify your Halloween candy station? 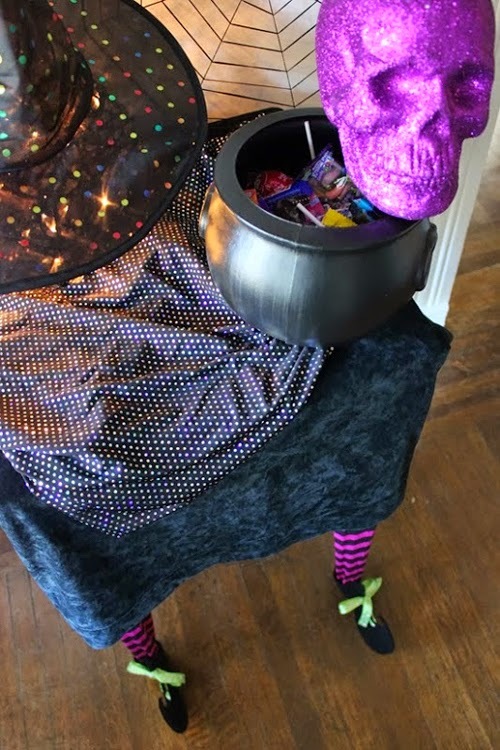 Witch legs on your table is just the ticket! Grab your bottle of Tacky Glue and head on over to DIY Louisville to make your own! 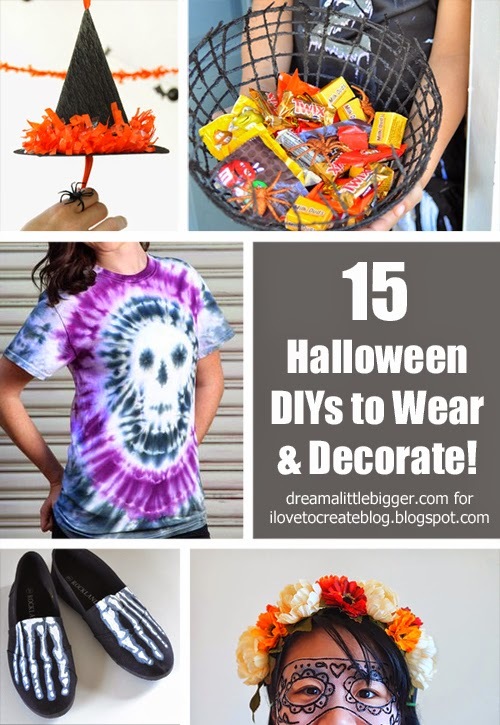 I hope that you've gotten plenty of Halloween inspiration to get your DIY on! If you're feeling chatty, let me know what you're planning to go as this year OR just give me a visit at my blog Dream a Little Bigger!